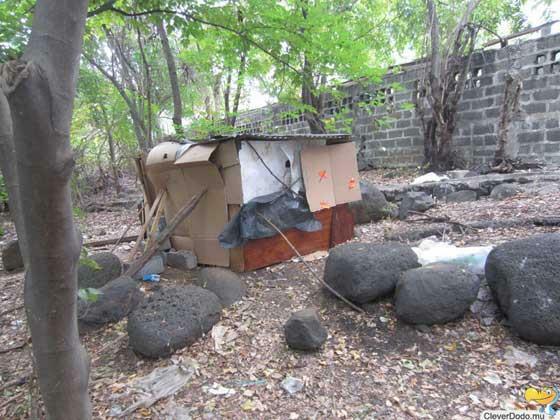 The truth is land has become so precious in Mauritius nowadays and they are meant for more rewarding projects (IRS & RES schemes etc) than to provide shelter to those in need. Well it’s a waiting game. My friend made an application in 2011 and he’s still waiting to hear from them (3 years later). They told him he was in a queue, it’s a first come first serve basis, and he would be notified when they have new houses, so I guess there haven’t been any new projects or the waiting list is very long and they are not able to keep up with the demand. However when you look at the list of new house projects on their site, you realise they are many developments going on and it feels weird they haven’t been able to get in touch after 3 years. They haven’t forgotten but as with everything else in Mauritius, it’s always about who you know. People who have contacts in the right places are getting hold of these houses meant for poor families and are renting them out. I'm not talking about people who are low earners but people who already have homes and are already leading a comfortable life. It’s the sad truth. As far as my friend is concerned, by the time he’s managed to raise Rs60,000 for the 10% deposit, the sale price would have gone up to Rs900,000 if the NHDC ever contacts him that is. In the year 2000, a friend of mine bought a council flat (lakaz cite) at La Tour Koenig and he paid around Rs200,000 for the 1 bedroom apartment which was on the 4th floor (the uppermost one). Couple of years down the line, in 2008, another acquaintance bought a 2 bedroom rundown place in Vallee des Pretres for Rs450,000. And in 2011, another friend was looking to get on the property ladder and prices were floating around the Rs600,000 mark for a modest single bedroom house. Unfortunately I couldn’t get more recent data from the Stats Mauritius website and had to settle for the Wage Rate Index 2011. Nevertheless, wages have never seen an increased more than 11.6% but house prices have increased by as much as 225%! I’d really like to hear your views regarding becoming a home owner in Mauritius and if you know people who've dealt with NHDC before, please share with us. Hopefully their experiences are better than my friend! Are students not relying too much on private tuitions?